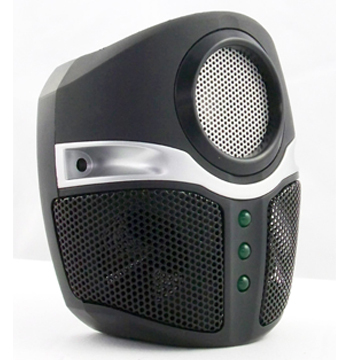 We also offer our 3 Speaker model, the RR3SPK, intended for use in commercial and warehouse settings, but also usable in residential environments where maximum coverage is desired. The RR3SPK is also a direct plug-in unit and features three speakers, one facing toward the center of the room and the other two broadcasting along the wall on either side. This 180 degree sound dispersion pattern allows better coverage along walls, where rodents like to travel and, when located next to doors, will provide more effective coverage of those entry points. For more information on the use of ultrasound in restaurants, food processing facilities, hospitals, and other commercial buildings, please visit our page on Commercial Applications.